Spanish teams have generally reigned over English sides in European competition and now La Liga wants to harness that success to challenge the Premier League's supremacy in the lucrative China market. European football leagues are vying for popularity in China and, while there are no reliable overarching figures, the Premier League is undoubtedly the market leader, with La Liga, Germany's Bundesliga and Italy's Serie A in its wake. 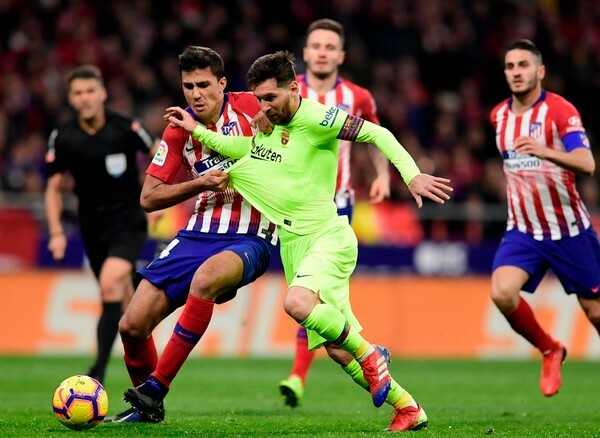 However, Spain - home to Lionel Messi at Barcelona and Champions League holders Real Madrid - is chasing down the Premier League, said La Liga Greater China Managing Director Sergi Torrents. "La Liga is catching up very fast and is in second position over the other leagues, especially because of the victories that the Spanish teams had in the last years in Europe," Torrents said in Shanghai. "Chinese fans - like everywhere in the world - are following the winners, and La Liga teams have been winning." Sports marketing experts agree that - thanks mostly to Barcelona and Real - La Liga is comfortably second to the Premier League in China, albeit a distant way off. On the Weibo platform, La Liga has about 1.6 million followers. The Premier League's account has 3.6 million followers while the Chinese Super League has five million. Torrents admits it is likely that La Liga lost followers to Serie A after Cristiano Ronaldo's 110-million-euro (HK$974.8 million) transfer from Real to Juventus in July. But it would have been far more damaging just a few years ago, he said. "La Liga has created a brand and in five or six years this competition has grown a lot," he explained. La Liga was the first European league to open an office in the mainland, in Beijing in 2014. Torrents does not expect Chinese fans to dump their Chinese teams, but La Liga wants to be first choice for those supporters backing European sides. The league sparked controversy with its plan to stage a game between Girona and Barcelona in Miami in January 2019.So will China one day stage a competitive game? "Not soon ," said Torrents. "This is something that is part of our plan in the US. In China we do not have this plan today."